Super Gals Fierce Lava Need Help? The Gals is a feminine, over-sized silhouette. 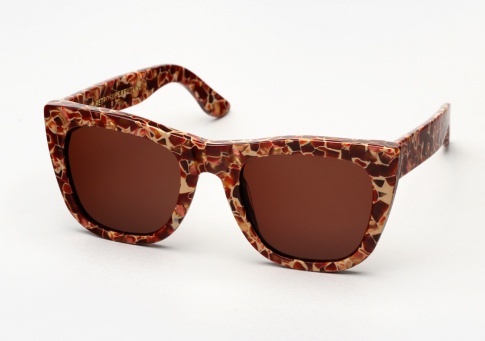 It has a slight up-line/cat-eye shape and uses thick and chunky acetate. It is offered here in unique mottled acetate named "Fierce Lava". It is both a statement piece and at the same time comes off natural and highly wearable.